Sophos has appointed John Donovan as managing director of Australia and New Zealand (A/NZ), replacing Ashley Wearne who exited the role in January. ARN can exclusively reveal that the industry veteran has assumed local responsibilities effective immediately, and will be based in the security vendor’s Sydney office. Donovan - an ARN Hall of Fame inductee - joins the business from ForgeRock, having held the position of regional vice president of A/NZ, and then Asia Pacific and Japan, since late 2015. 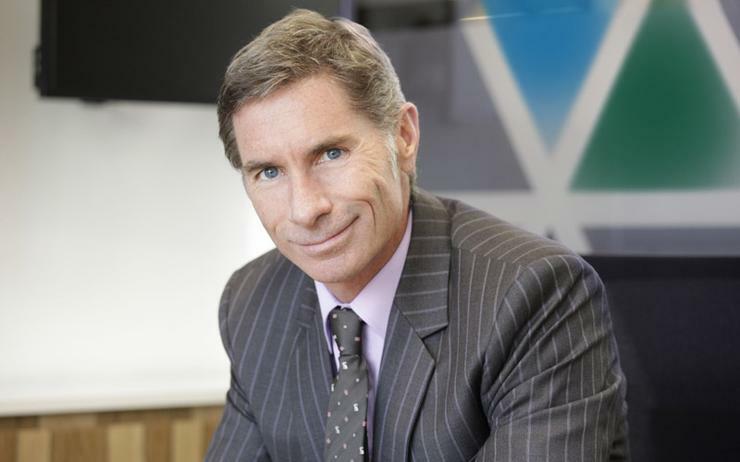 “John is an extremely experienced and well-known executive within the A/NZ and APJ IT industry,” said Gavin Struthers, regional vice president of Asia Pacific and Japan at Sophos. In his new role, Donovan will be tasked with driving growth on both sides of the Tasman, in addition to overseeing strategy, go-to-market planning and operations locally. "I believe Sophos’ synchronised security vision uniquely positions it in the local market and this, coupled with its 100 per cent channel approach, provides the right programs for A/NZ channel partners to deliver the security solutions local customers need," said Donovan, when speaking exclusively to ARN. "My responsibility is to focus on building stronger relationships with the partner community and providing support to the local team in areas in which we can build out. "This is a company going through a product transition into the next-generation environment and a leading edge portfolio, one which is palatable for the mid-market and points to the importance of partners. "Most of the implementation, design and configuration work is done through partners, which is why we need to focus on investment around enablement and having simple solutions as much as possible." Donovan brings more than 30 years of market experience to the role, having held senior management positions at VMware, Symantec and Novell. Prior to ForgeRock, Donovan ran the channel for VMware during a five-year stint at the virtualisation vendor, having previously ran the regional partner ecosystem for three years at Symantec. The industry executive was also managing director of Symantec locally for six years during the early 2000s, after early roles at NetComm, Merisel and Imagineering. “I’ve been given the opportunity to come back into the security side of the industry and digest all the changes that have occurred,” Donovan added. In a direct message to partners, Donovan said that Sophos is “100 per cent channel, all day, every day”, backed by a promise to match words with actions across the ecosystem. According to Donovan, the industry is crammed with vendor CEOs that wax lyrical about the importance of partnerships, standing on stage during global kick-offs spouting the value of the channel. “But when it comes to crunch time, they generally fold,” he added. “That’s because the dollar is the most important thing. They can say they have a partner-led route to market but they will take the easiest way to get the dollar. Citing technology as the number one reason why partners align with a vendor, Donovan also stressed the need to create channel-friendliness as a key differentiator. “Then it comes down to how attuned is that vendor to our business?” he asked. “If I’m a partner and I have a choice of X, Y or Z from a security perspective, every vendor will say they are really important to them, but do their actions actually support that? “Let’s look back to the last 2-3 years, have they been there when we have had an issue? Have they delivered against commitments? Donovan replaces Wearne who transitioned out of the role in January, having joined the vendor in August 2012. The appointment also follows the recruitment of Struthers as regional vice president of Asia Pacific and Japan, with the remit of driving market growth through the channel.